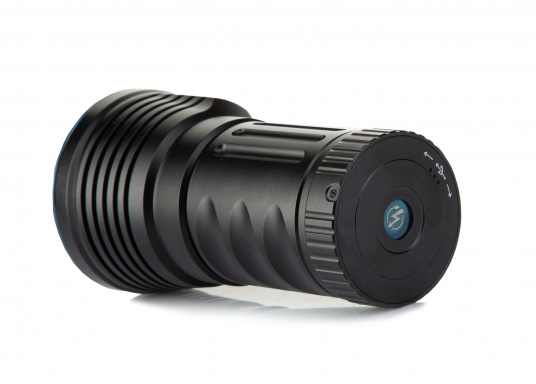 High-quality flashlight in a compact design! 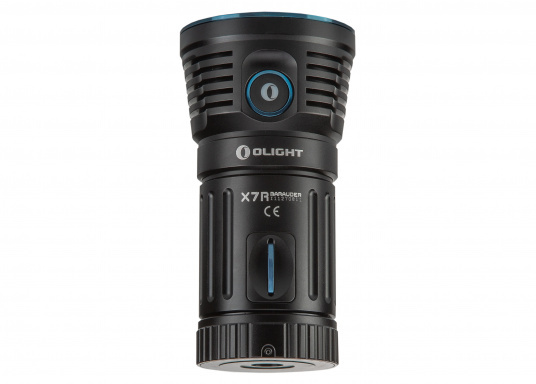 The X7R flashlight features a very high output of 12,000 lumens and long battery life. There are six different brightness levels to choose from, so you can create the right one for every distance. A further feature is the integrated proximity function and active heat management system. €279.95 Incl. tax, excl. shipping. High-quality flashlight in a compact design! 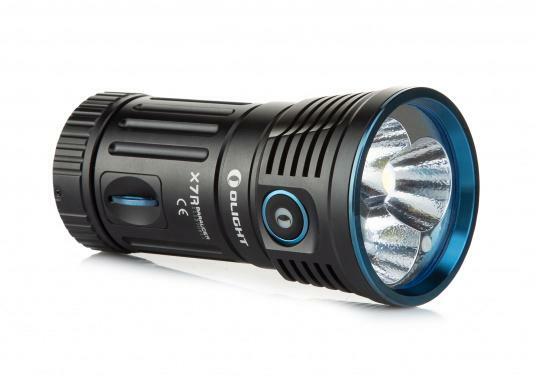 The X7R flashlight features a very high output of 12,000 lumens and long battery life. There are six different brightness levels to choose from, so you can create the right one for every distance. The built-in rechargeable battery consists of 4 x 3000 mAh batteries and can be charged via USB Type-C port. The advantage of USB Type-C is that it charges at three times the speed of a conventional micro-USB. It is equipped with a pop-out lanyard hole to attach a carrying strap and finger grooves for a natural grip and improved ergonomics. A multifunction indicator under the side switch indicates location, flashlight status, and low battery. A further feature is the integrated proximity function and active heat management system. These functions automatically reduce performance when either the temperature becomes too hot or when an object is nearby. Rotate the cover to open and close the charging port. When closed, the torch is waterproof to IPX7. 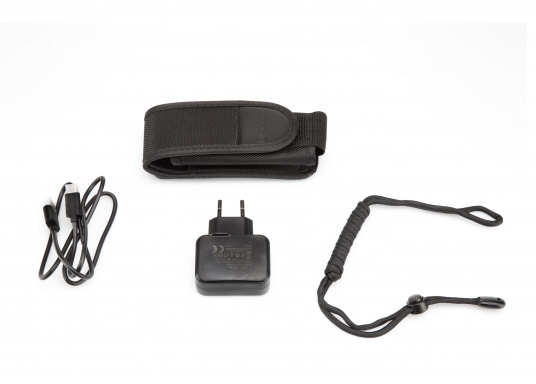 Included is a carrying bag including Velcro fastener and eyelet, a carrying strap, a charging cable and instructions.